A makeover is what you will get! The first balm compounded with Retinol, Rose, hyaluronic acid and soy proteins is pure skin delight. A transformative at-home treatment to peel, plump, smooth and hydrate with four key ingredients for glowing skin in 15 minutes. Maximum concentration Retinol targets multiple skin conditions. Perfect if you need instant transformation of your skin. Can be used as a deep cleanser with a muslin cloth for deep daily detox. Suitable for all skin types. Treats: Breakouts, open pores, dry, sensitive, uneven skin tone, tired dull skin and visible signs of aging. 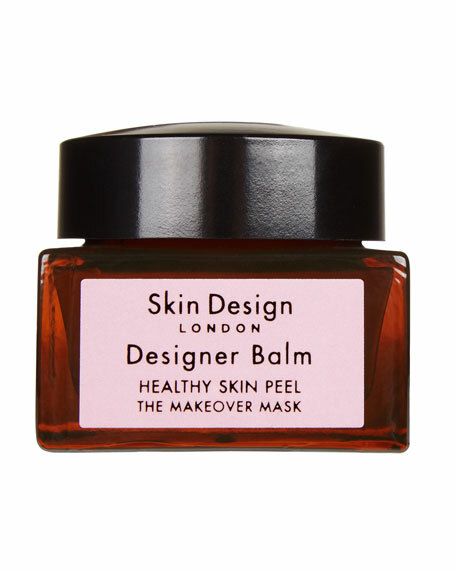 Warm the Balm between your fingers and apply a thin layer to clean, dry skin and relax for 15 minutes. Rinse well with wet face mitt towel, muslin cloth or damp cleansing pads, and wring the cloth damp with warm water. Once your pores are clean and open follow on with products for complete treatment.